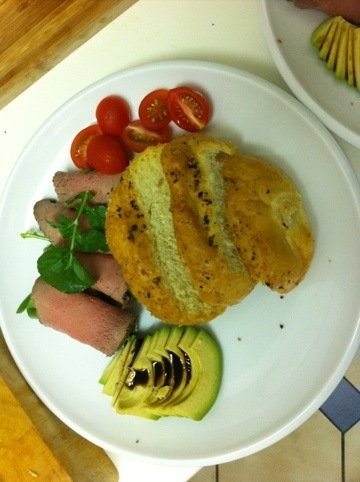 So now that we have an oven we decided it was time to try it out and test ourselves by cooking a roast. It was a spur of the moment decision, weather was unusually chilly for Durban, considering we’re already well into Spring, so we figured we should jump at the opportunity to make a roast before the insanely humid Summer days strike. It was a super simple recipe and I’d say we were pretty successful – the beef was delicious, though it could have been a touch rarer for my liking – the unpredictability of oven temperatures to blame I imagine and I am now lusting over an in oven thermometer! Our pudding for the evening was Pancake Cake…also yum! 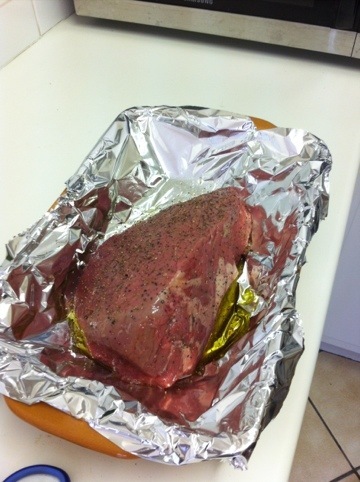 Rub beef with olive oil, black pepper and coarse salt. Place is roasting dish in an open pocket of heavy duty tinfoil. 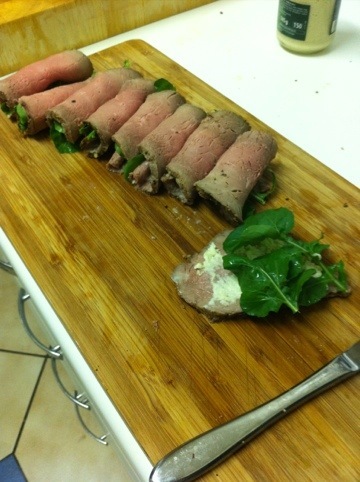 Bake at 240 °C for 15 minutes and then turn oven down to 180 °C for 25 minutes per kg of beef. Take out the oven, cover with foil and bury under a pile of towels – allow to rest like this for 15 minutes.